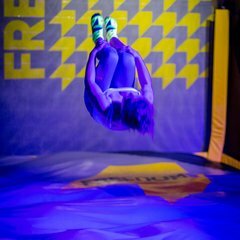 Freedome Cheshire Oaks is raising the bar and bringing you the Next Generation of Freestyle Aerial Parks. 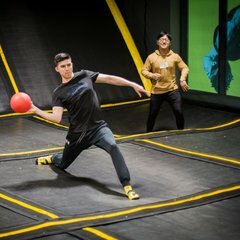 Located above the bowling alley within the Coliseum Leisure Park, next the Cheshire Oaks Outlet Village, this location is perfect to make your visit a whole day out. 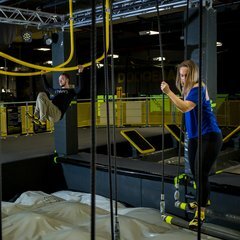 Under our roof we are full to the rafters with low impact fitness, extreme fun and enjoyable accidental exercise. Release your inner warrior, let us impress you and show you something new, something exhilarating. Exercise your right to Freedome! For directions to Freedome Cheshire Oaks please click on the map below. Parking can get quite busy please allow plenty of time to complete your safety brief and sign your RAD. For the latest offers and passes available at Freedome Cheshire Oaks, please click on ‘offers’ in the main menu. We have different offers on every single day of the week! The court has sprung walls for the serious jumpers, the wall runners, plus obstacles for the parkour enthusiasts! 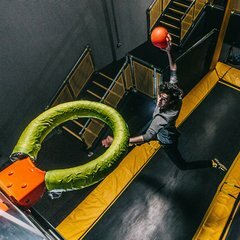 It’s the ultimate aerial assault course. A fast action, challenging, free for all. Will you make it to the end? The world’s first padless, seamless trampoline court, specially designed for an intense game! It’s all about having fun doing tricks, flips and soft landings on our giant airbags. Fly high in the air and make the ultimate slam-dunk and perfect your tricks. 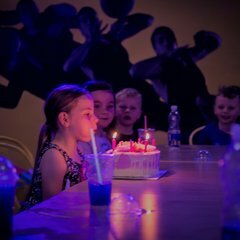 Jump into the most fun party in town with VIP party rooms for that special event.